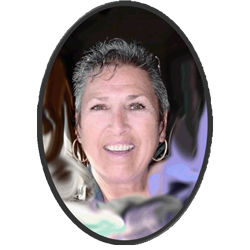 Ann is a Reiki Master who uses many forms of Vibrational Therapy in conjunction with Crystal Singing Bowls. She helps others balance and harmonize their body in the physical, emotional, mental, and spiritual realms. Crystal Singing Bowls are Ann's favourite modality of Vibrational Therapy. She has used them to help others for over 20 years. Ann has explored many paths in this lifetime's journey. Some of these paths have resulted in formal qualifications. In 1980 she received her B.A. which was focused on physical education and the biomechanics of the body. This gave her the basic understanding of the physical body. She worked for many years with young children, teenagers and adults in the education system. Her experience as a teacher, consultant and secondary school vice principal often focused on the emotional needs of children and adults. With this experience, she learned the value of balance and recognized the individual types of strengths that each person possesses. She continued her formal qualifications with her Master's Degree and her Supervisory Officer's Qualifications. While working on her mental growth she recognized that any growth needed to be balanced. Physical, emotional, mental and spiritual growth all need to be addressed. In 1990 Ann found that Reiki was able to focus and intensify a natural talent for healing. She attained her 3rd degree Reiki and worked for many years with a Reiki team. The team discovered many opportunities for spiritual growth while helping many others. Ann discovered crystal singing bowls and bought her first bowl over 25 years ago. This bowl had such a profound effect upon her that she detemined that they should be available in every home. She vowed to help make that happen. Ann believes that the more people who play the bowls, the higher the frequency of those people, and therefore the higher the frequency of the earth. Since then she has developed a collection of over 30 crystal singing bowls. Many of these are the original classic bowls but some are the specialty bowls such as rose quartz or moldavite. Ann invites you to enter the safe and gentle environment of Crystal Singing Bowls. The luminous sound of Crystal Singing Bowls will realign your physical and etheric bodies into harmonic healing and balance. Ann's extensive experience with the crystal singing bowls will work for you to bring you the bowls you are meant to have.